Under Cruising Information you'll find great info for sailors following in our wake: A big equipment section, articles on cruising with teens, transiting the Panama Canal, yacht provisioning and recipes, FAQs, downloadable Track Files plus pages on specific areas like Australia and Indonesia. Our Underwater pages showcase our underwater photography, reef life and scuba‑diving. 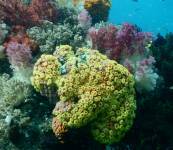 Dive sites include GPS locations so others can find these sites as well. 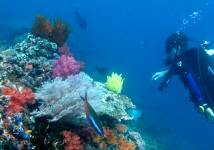 We have new dive information on Raja Ampat and Triton Bay, Indonesia. On our Ocelot pages you can see pictures of the original boat plus her layout, specifications and some of the modifications we've made to turn her into an ocean cruiser. More recent pages take you through the details of our major Thai Refit. 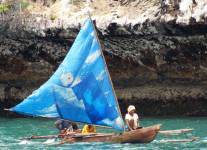 Our Landfalls pages are divided by ocean -- Caribbean, Pacific, and Indian. They're all about where we've been and what our impressions were. They're as much for land travelers as cruisers. Amanda 'hot‑spotted' most maps, helping to clarify the geography. We've illustrated the newsletters emailed from the Pacific Ocean and Indian Ocean. Read about our travels and "passage notes" while at sea. To get our e‑newsletters you can sign‑up and manage your own subscription. Our mailing list is never shared with anyone. The Flora and Fauna pages document many of the plants, animals, birds and marine mammals we've encountered in our travels. It's organized by geographical regions. 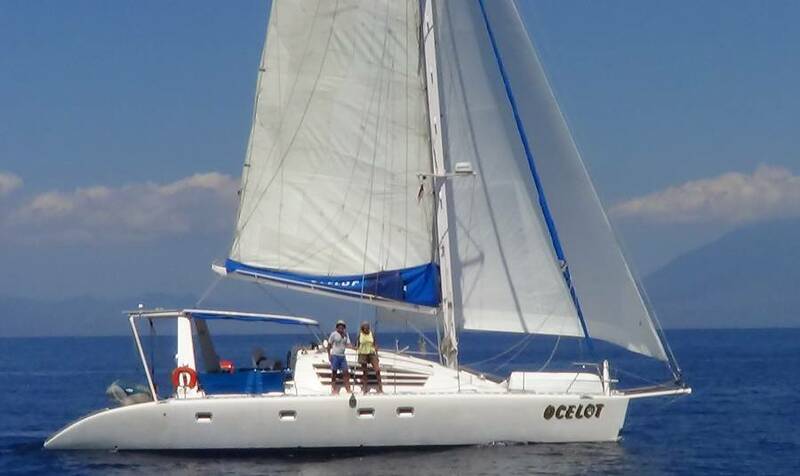 to the Hacking Family website with Sue, Jon, Chris, and Amanda on Ocelot, our Kronos 45' (14m) now 48' (15m) Wauquiez‑designed catamaran. 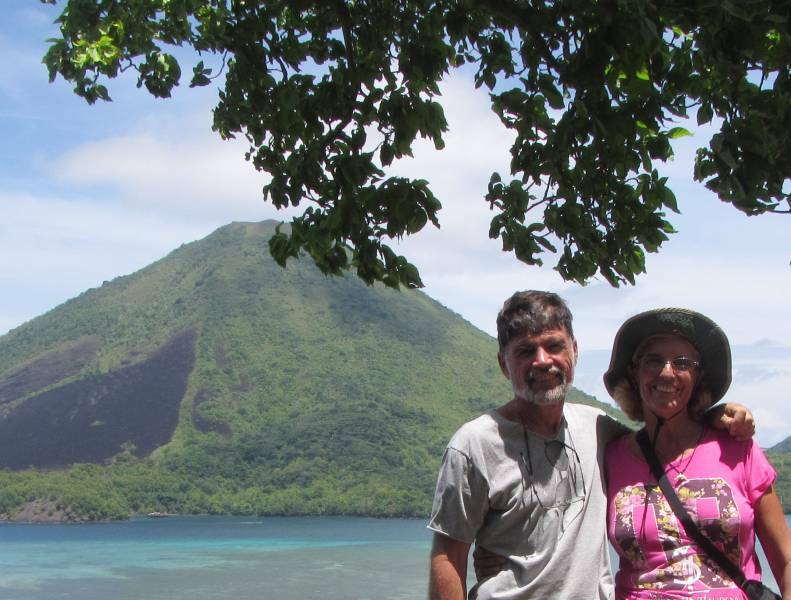 We've been on this trip since 2001 sailing from the Caribbean through the Panama Canal, across the South Pacific and the Indian Oceans to Africa, then back to Asia. There's so much world to see! 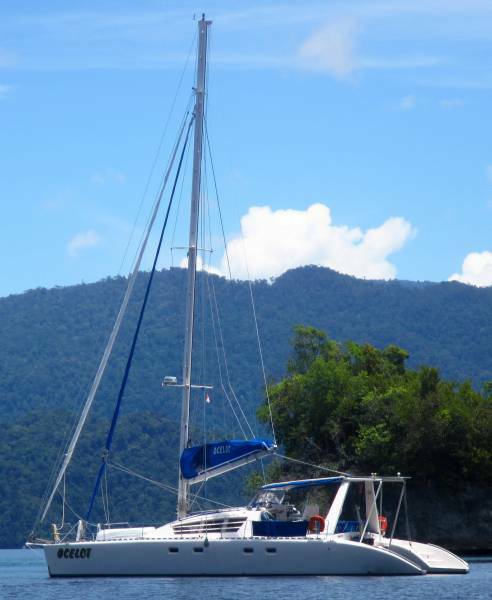 LATEST NEWS: Sue and Jon have returned to Raja Ampat in Indonesia! 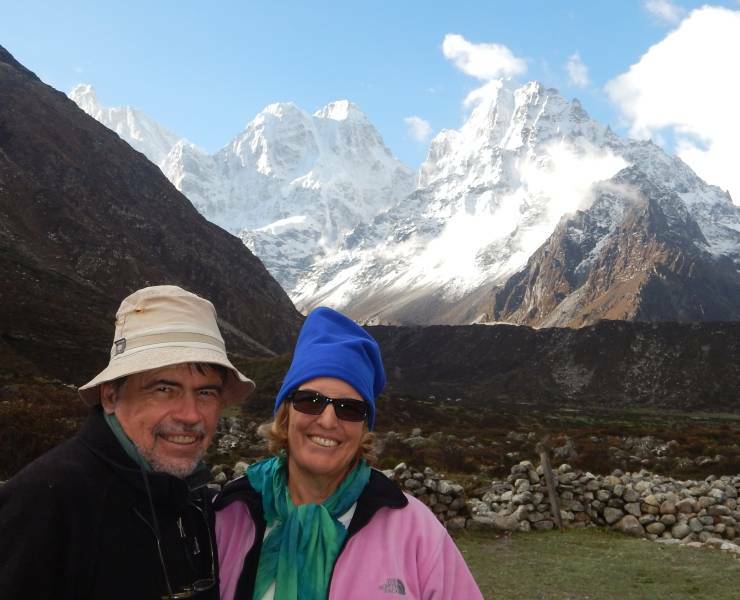 After spending the winter holidays in the US with family, we spent April‑June 2018 trekking in Nepal with cruising friends, doing 5 treks. Then we sailed back down the Malacca Straits, and over the top of Borneo with a military escorted rally. Now we're back in Indonesia, doing some wonderful diving in Raja Ampat. 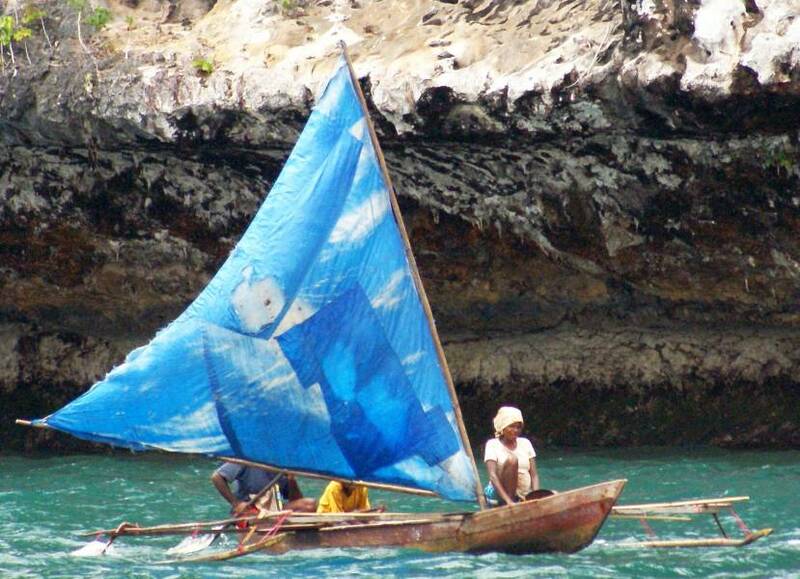 In January, we hope to sail over the top of Papua New Guinea (PNG) and into the Solomon Islands. We'll be going with friends who are WWII history buffs, and want to dive some of the old WWII wrecks. Should be fun! Sue's newly updated guidebook is now in bookstores and on-line. The 4th edition(!) of Take A Walk (published by Sasquatch Books) now features 120 parks and walking trails within 30 minutes of Seattle and Puget Sound (Olympia to Everett) and has lots of new and updated trails. See Sue's new Take A Walk book! Our nephew and newest crewmember is an aspiring artist, so Rainer's new pages are stunning! We've updated our Diving Indonesia page again with more new dive sites through Raja Ampat and Triton Bay. These unspoiled waters provide superb diving. We've now illustrated the last 2 years of Indonesian Newsletters. (Yes, we were a bit slow!) Check 'em out! We've added a Nudibranchs page to our Underwater Reef Animals section. Picasso critters! We welcome your input! Just click the Make a Comment link at the bottom of any page to share your thoughts. Where's Ocelot? See our tracking map at the bottom of this page! After many requests, we've added a page where folks can download our navigational KAP files! These are extremely accurate charts covering 14 countries from Micronesia and the Solomon Islands to the Maldives. We also show you how to make your own Google Earth KAP files for free! 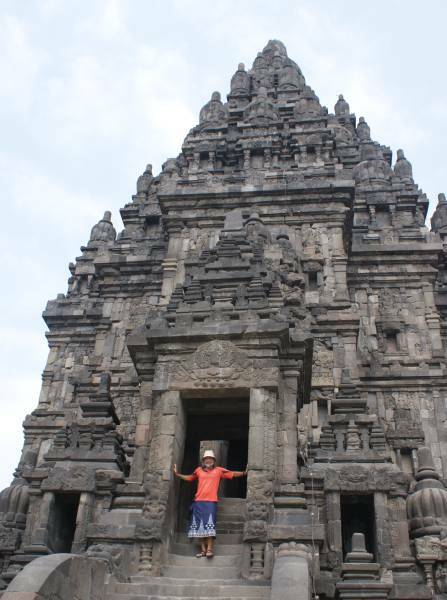 We've updated our page on Cruising North and East Indonesia, with descriptions of about 150 anchorages. 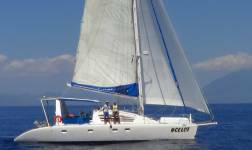 With the help of our friend Behan on s/v Totem, we've now got 2015 information for Cruising Maldives updated from our last visit in 2009. Do you know the difference between cut‑thread & rolled‑thread turnbuckles? Or which type you want? Or how to check which you have? Before you buy your next turnbuckle, Check out our new Turnbuckles page. We have now updated several of our Cruising Information pages with superbly detailed satellite photos of our anchorages, live Google Maps & new Track Files. 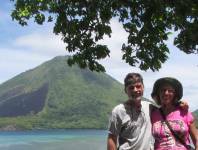 Check out our pages on Cruising Madagascar, Cruising S&W Indonesia, Andaman Islands, Cruising Marquesas, and Cruising Galapagos. Want to Build a Bimini? We've now brought all our bimini building info together on just 1 page, for easier reference. It has over 30 illustrations and many links back to the days we actually did the work. See our new Bimini Building page. Where's Ocelot?? Find the red marker for our latest position (map may take a few seconds to appear). Courtesy of Winlink.org and the Amateur Radio Safety Foundation.